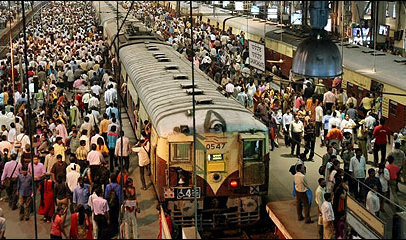 The Indian railway system and the India trains are well known amongst travellers to India and the stories resulting from long distance journeys on the Indian railway system vary from funny, terrifying to the downright bizarre! 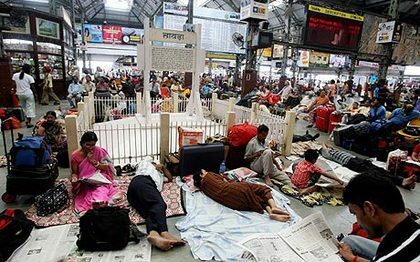 Amongst some of the more talked about themes aboard an Indian train are the toilets, the early morning chorus of coughing Indians and the legends and myths; Such as the woman who apparently gave birth in the Indian train toilet resulting in the baby falling down the hole towards the tracks..... It dangled there for 15 minutes via a slightly stretched umbilical chord until the train was stopped. The baby was fine! 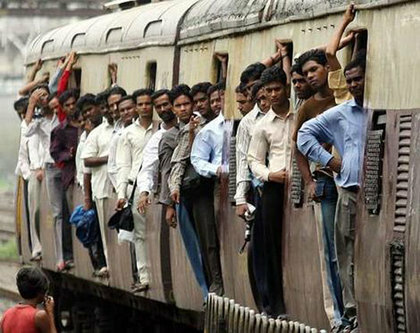 Yes, an Indian train is a truly magical place, full of wondrous stories of obscene overcrowding, implausible pilfering, masturbating men, vast voyages and menacing minors - Welcome to the India railway phenomenon! I feel here I may have been a little harsh about this matter and that I should also mention that there are many advantages to train travel in India. 99% of the the time these experiences are highly related to the reason that one travels to India in the first place. The characters you meet, the low cost and the amazing experiences you have. And it's these, the experiences, which are the things that I cannot write about here, for these are things that only you can witness - they are different for everybody yet there value remains priceless. Okay, enough philosophy. I just wanted to highlight the fact that however awful or ridiculous India train travel might seem, the reasons for partaking in such adventures usually lies within the reasons that one travels to India in the first place. - To put yourself in weird and wonderful situations, to learn about yourself and to experience life from different perspectives - and an Indian train offers these opportunities in abundance. Of course train travel involves so much more than just trains, the first obstacle to overcome is the Indian station (well actually you have to get to the station which again is a challenge on it's own). 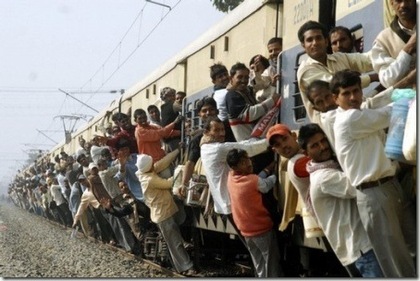 Yes the India trains are cheap. How cheap? Well that you won't believe. Coming from England where it cost £1000 to travel 10 Miles down the line it was an amazing to realise that I had just booked a 2000 mile journey for less than £10. Yes That's right, no typos here. Having said that, I didn't have a seat, I was close to death for 2 days after and it did take up a good portion of my young life (37 very loud and long hours) but it was awesome, I just sat with my feet hanging out of the door watching the world go by, smoking with the cool kids and making respectful conversation to the resident army general (who very kindly let me sleep on his luggage). I wouldn't change that experience for the world.